Hello, so couple of days ago I had to change the canister purge valve (I believe it was called), however during the process I notice this other part halfway broken. However, I have no idea what is the name of this part and that's my question. I don't even know what it is for. Here is a picture of it, it's the part with the green cap on it. Does anyone know? I'm still looking for this. I looked online for that and it seems like the test port is just where the green cap is. I am looking for the entire component that includes that testing port. 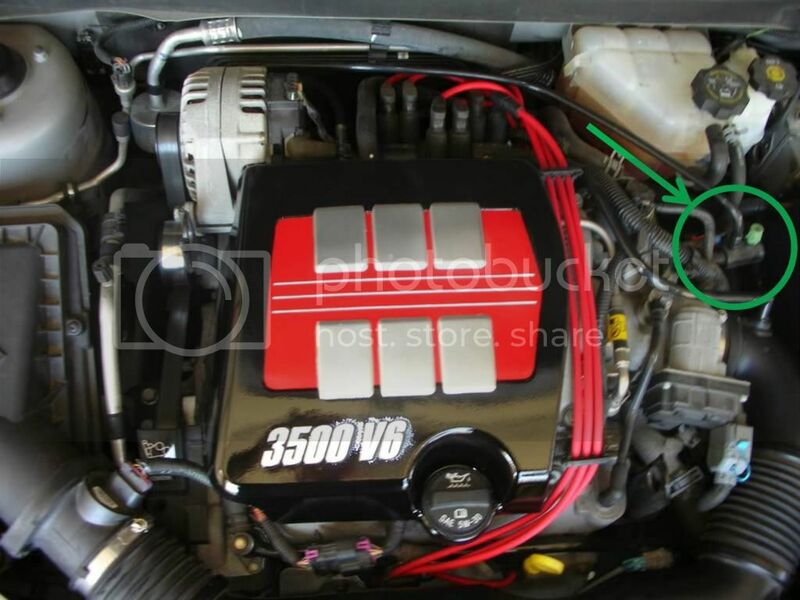 The main reason I am asking for this is because I have an EVAP leak (CEL P0455) and so I would like to get this change, since it is just a zip-tie holding it together, before I take it to a mechanic to check the engine code. were u able to find out what this part is called? This particular part on my Pontiac G6 is completely broken off and disconnected. Any help identifying this part would be appreciated. Did anyone ever find an answer to what this is? I've been looking everywhere and it seems like it's only on the 05's. I'm also looking for a replacement vacuum line that connects to it. I tore mine up after digging the broken piece out. I'm pretty sure this is one of those parts that will not be easily replaceable through a store. Goto a junk yark and pull one. We have Pick n Pull junkyards in NY. Something like that would cost maybe 3 bucks.